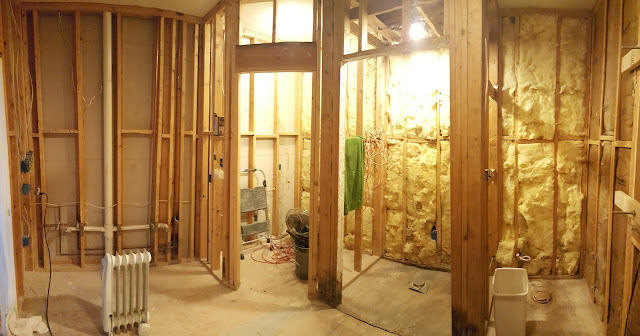 Milestone was reached this weekend. 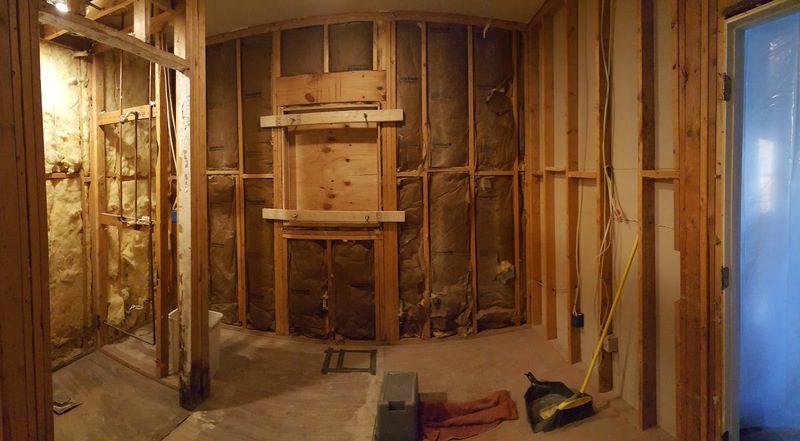 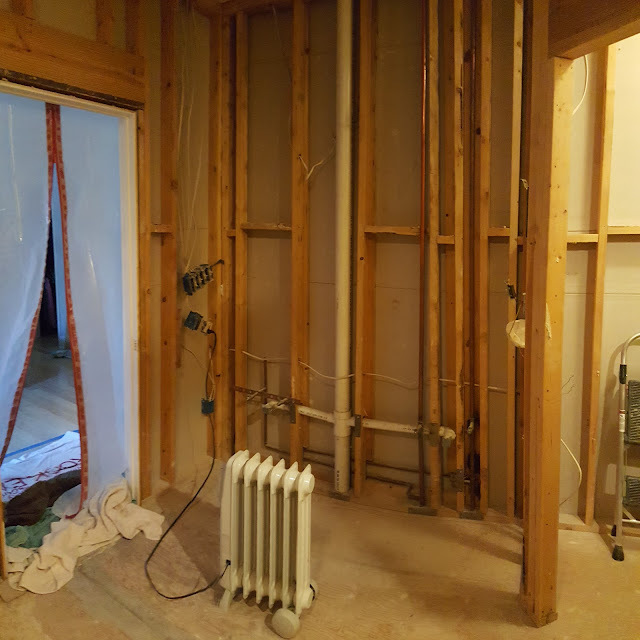 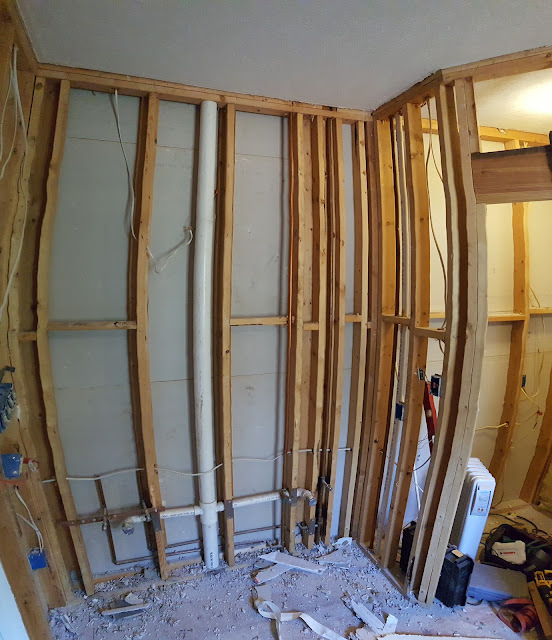 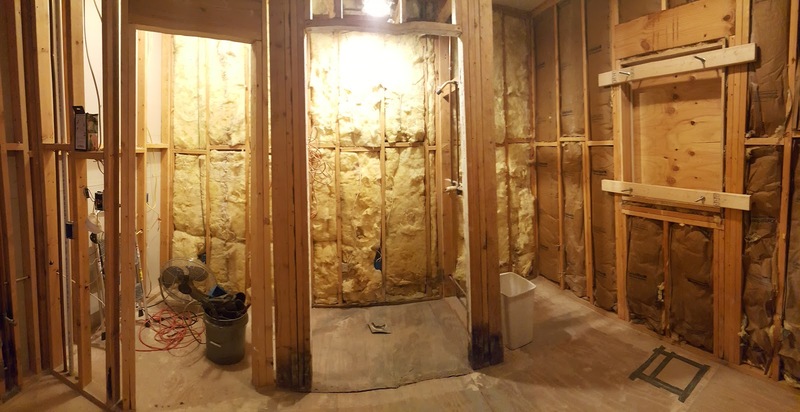 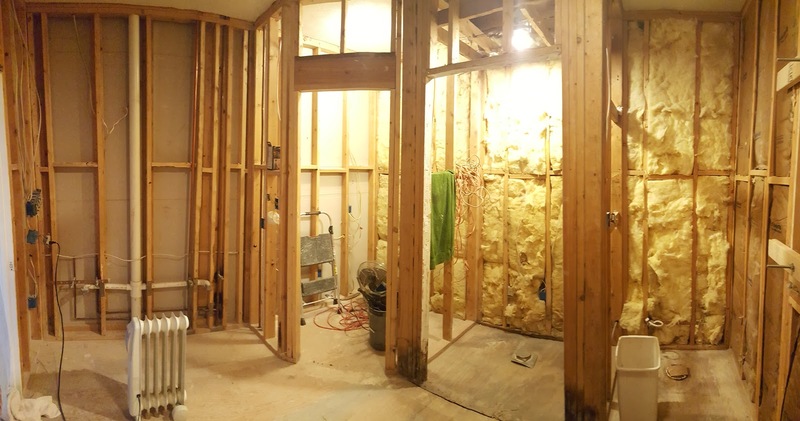 As a Valentine’s Day present to my wife I got all of the sheet rock removed from the bathroom. 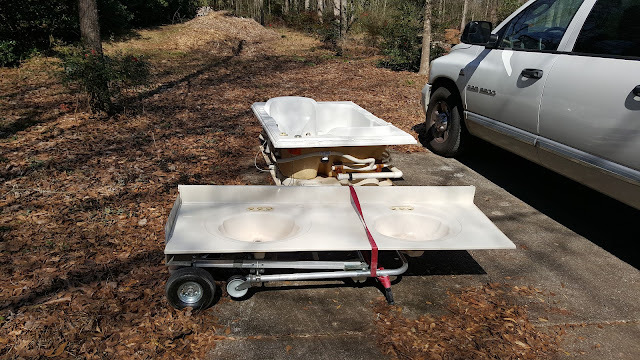 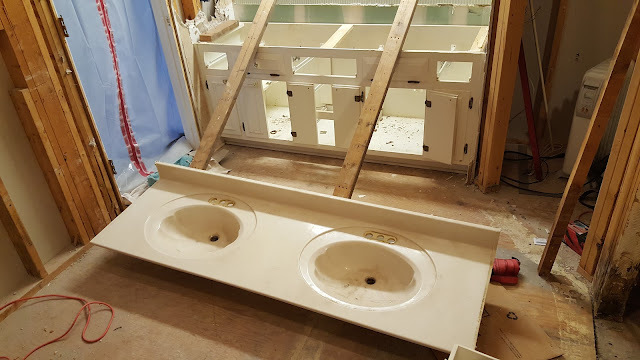 This weekend I had to engineer removing a large mirror without breaking it and remove the vanity so that we can donate it to the Habitat for Humanity Restore. It takes time removing stuff for a remodel so that you can recycle or reuse the material that you remove. 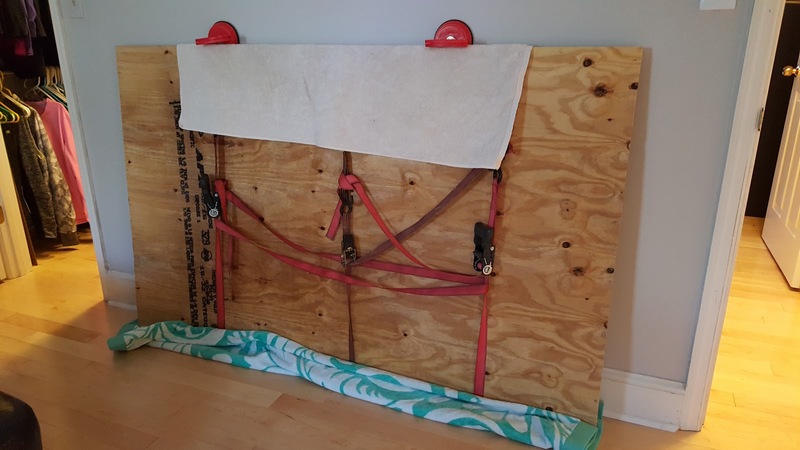 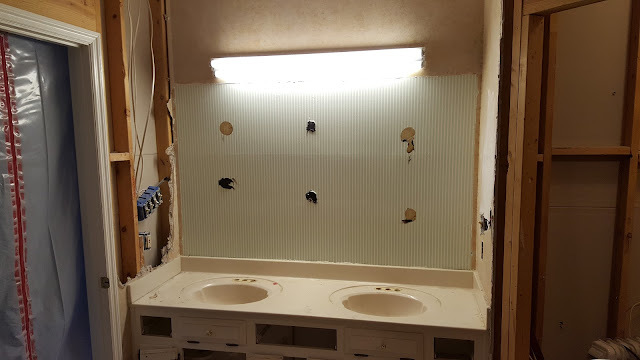 I moved the mirror with the help of two suction cups, plywood and my handy straps. 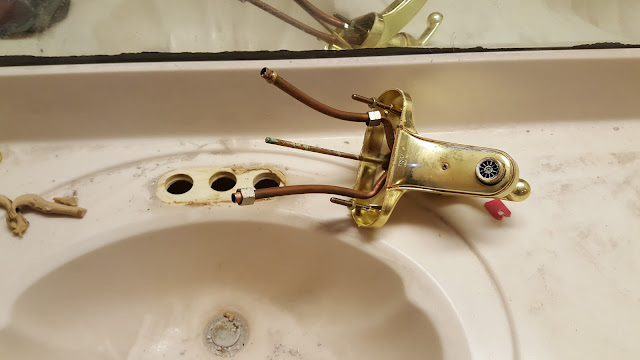 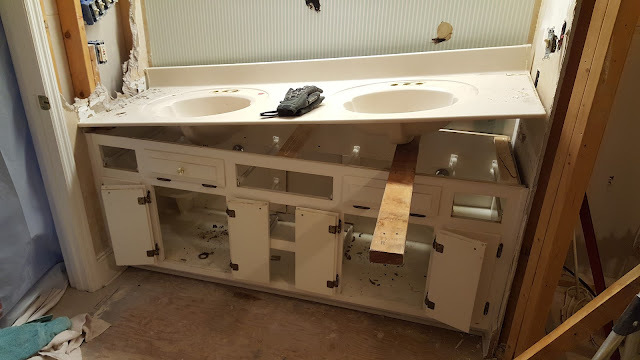 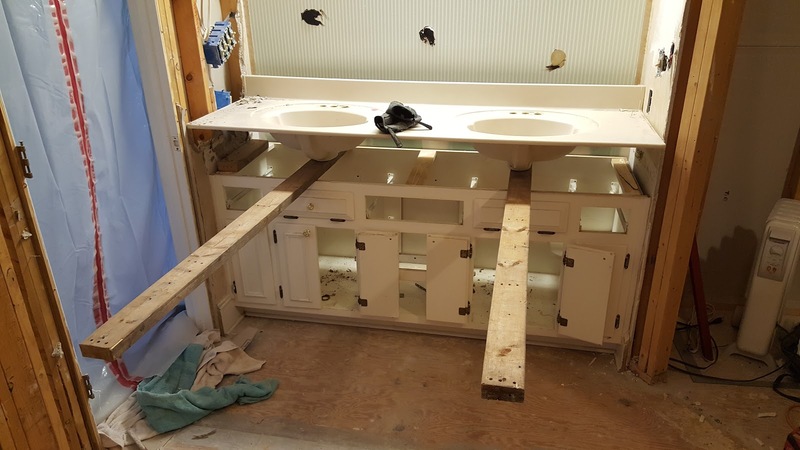 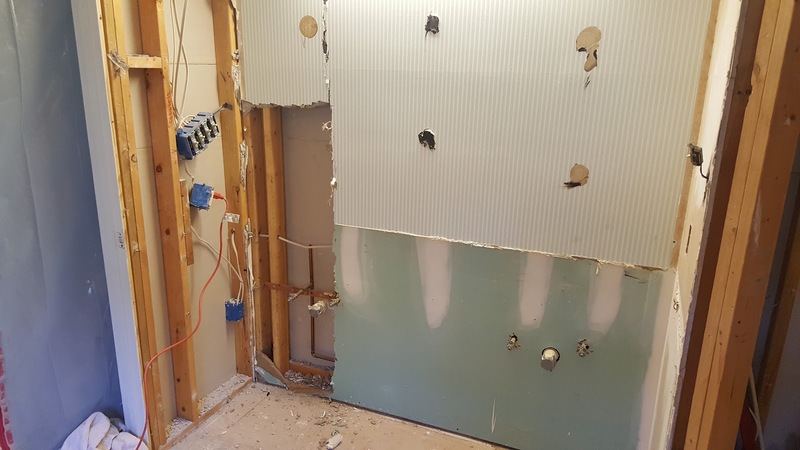 Exposed wall with sink removed.